Lauren Goetze is one of three recipients of the 2018 D.C. Experience Scholarship, which provides financial support for Drake University students interning in Washington, D.C., for the summer. 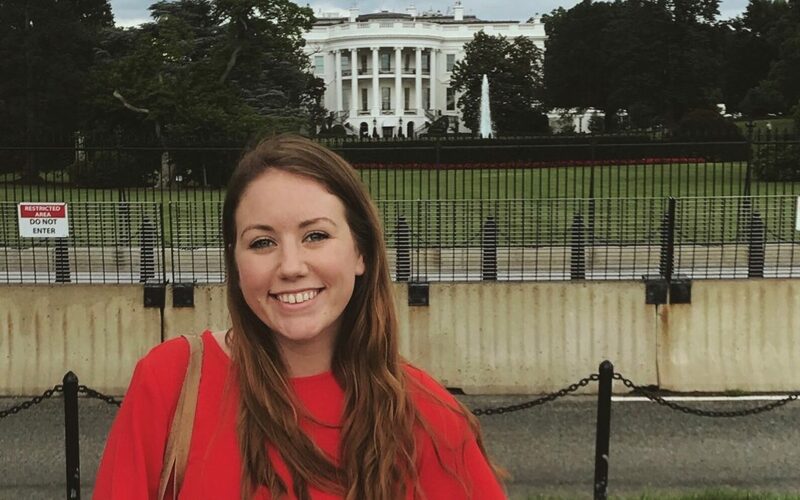 She will provide bi-weekly updates of her time in D.C.
Hello, my name is Lauren Goetze, and I just finished my junior year at Drake University, where I have been studying International Relations and Economics. I am spending this summer interning for the Peace Corps in Washington, D.C., and just finished the first two weeks of my internship! After serving as the Peace Corps Campus Ambassador at Drake this past year, I’m very excited to continue my work with an organization that creates meaningful change in so many diverse regions of the world. I have been placed in the University Programs division, where I will be helping refine the programs Peace Corps has at universities across the country. It has been an incredible process so far, especially working with the Campus Ambassador program, for which my background has served me well. It has also given me insight into what it is like to work for the federal government, and the benefits and challenges of being a relatively smaller, more independent agency within the government. In just the past two weeks, I have learned an incredible amount from my internship, but also have gotten a chance to explore the city and have started to feel at home. On my way home from work, I usually walk through the National Mall, and past the White House, an incredible reminder of the importance of the city I’m living in. Additionally, when I leave my apartment, I can always see the Capitol building, as well as the Supreme Court. These immensely important buildings never fail to remind me of the big picture, and it is motivating to know that I am playing a small part in ensuring our government’s initiatives are successful. 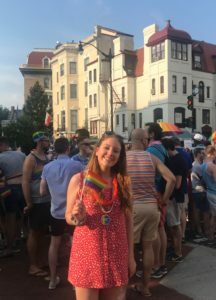 I am also starting to learn of all the fun events happening in the city, attending free concerts in the park during the week, and special events like the Pride parade. Overall, my time here so far has been incredibly inspiring, and I cannot thank the Harkin Institute enough for making this experience possible. I greatly look forward to what the rest of the summer will bring!